Create your own HP LaserJet CP1025nw color toner pack / bundle with our flexible quantity discount pricing. Mix and match products so you are only purchasing what you need, but also maximizing your savings. Remanufactured Cyan Toner Cartridge with 1,000 page yield. Equivalent to HP part number(s): CE311A, 126A Cyan. 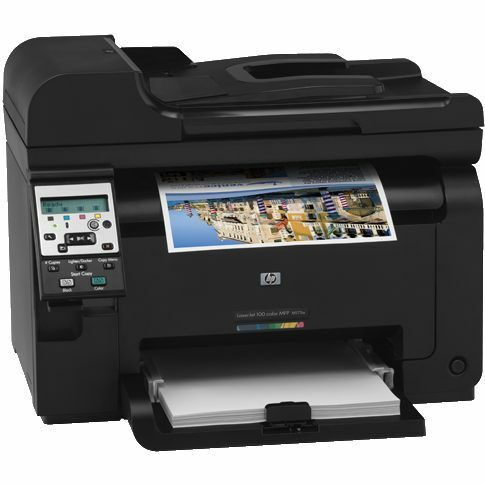 Fits the following model(s): HP CP1025, HP CP1025nw. Remanufactured Magenta Toner Cartridge with 1,000 page yield. Equivalent to HP part number(s): CE313A, 126A Magenta. Fits the following model(s): HP CP1025, HP CP1025nw. Remanufactured Yellow Toner Cartridge with 1,000 page yield. Equivalent to HP part number(s): CE312A, 126A Yellow. 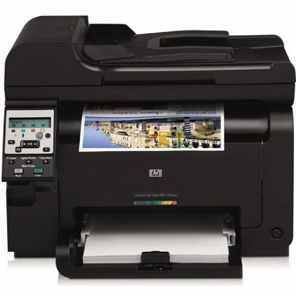 Fits the following model(s): HP CP1025, HP CP1025nw. Remanufactured Black Toner Cartridge with 1,200 page yield. Equivalent to HP part number(s): CE310A, 126A Black. 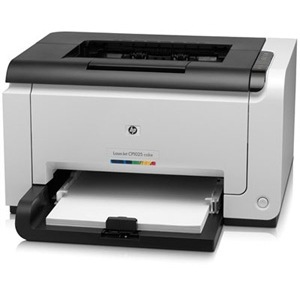 Fits the following model(s): HP CP1025, HP CP1025nw. 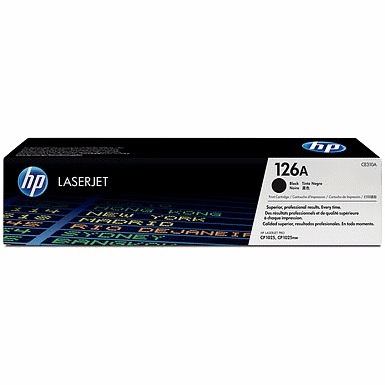 Buy our high quality compatible toner for HP LaserJet CP1025nw with confidence. Join thousands of happy customers who have found our compatible products are equivalent in page yield and print quality. For our compatible products, we offer a 100% Satisfaction Guarantee allowing you to return products within 6 months if you are unsatisfied. 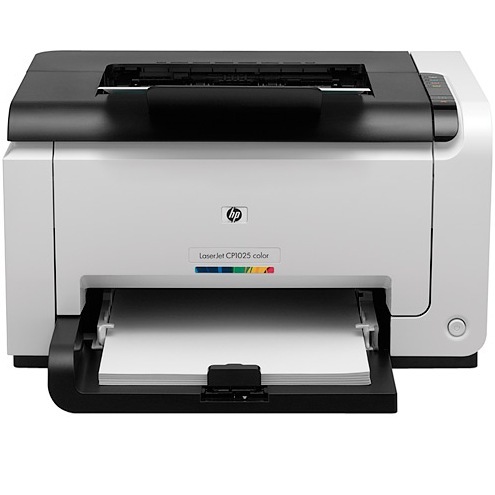 The HP LaserJet CP1025 is a fairly slow laser printer with pricey supplies, pushing monochrome documents at a rate of 16 pages per minute and color projects at an even slower pace of 4 pages per minute. 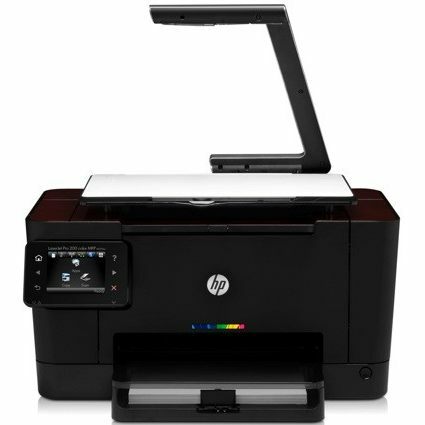 The manufacturer provides an additional model, the CP1025nw, that doesn't improve on speeds, but does offer features like an ethernet port for networking, and the ability to print wirelessly. While the base model does present cons like its sluggish rates and expensive HP CP1025 toner cartridge replacements, it is not without basic elements that may be worth a look. As a simple single-function device, it offers a very compact design with straightforward features for first-time users. The front panel, for example, doesn't include an LCD display typically seen on many models, but only a handful of control buttons like Job Cancel and Quick Start. Media handling is fairly limited, the manufacturer providing only a single 150-sheet input tray. A lack of paper handling and a maximum monthly duty cycle of 15,000 pages set this unit up to suit low-volume personal users. 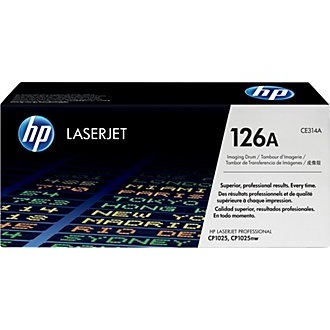 With a maximum resolution of 600x600 dpi using color and black LaserJet CP1025 printer toner, tests for output quality report that graphics have vibrant color and text prints with sharp lines. To expand the type of projects users can create, the device accepts a number of different media types including glossy and photo paper, as well as cardstock, labels and envelopes. Experts caution that the machine's HP CP1025 toner cartridges can mean high running costs, particularly for frequent printing. Color toners can each create around 1,000 pages and the black supply has a capacity of 1,200 sheets, with no option for high-capacity LaserJet CP1025 toner. The CP1025nw would be the better choice for this series with its option for networking and Wi-Fi. 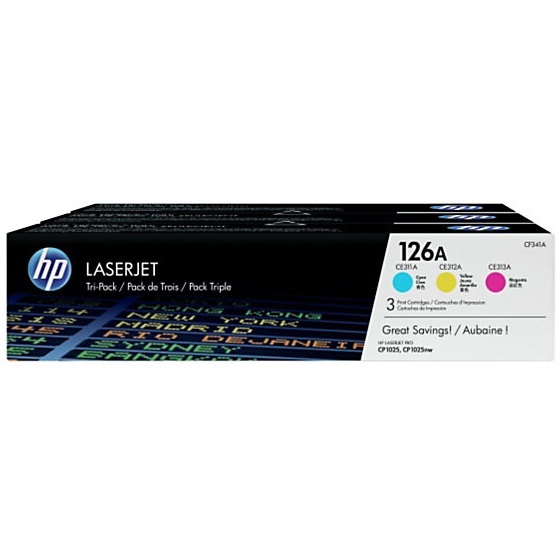 Still, expensive HP CP1025 toner replacements will keep costs high despite the fair upfront price. Users that need an entry-level color laser printer should save their money for a faster and more affordable option.